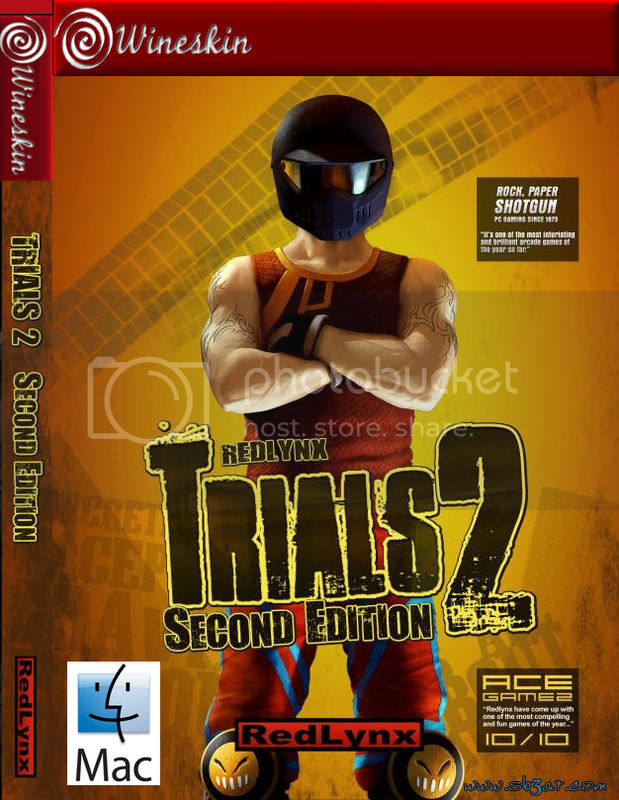 Trials 2: Second Edition is a racing video game by RedLynx. It is available for the Windows operating system through game's website, via the online store, and through Valve's Steam system. It was released on March 1, 2008 on the game's website, and May 28, 2008 on Steam. The objective of the game is to get from the start of the level to the end through a number of obstacles as fast as possible. The player must balance and control their speed so that they don't fall. There is a clock so that the player is pressured into completing the level faster, which ensures replayability. The game also has achievements, similar to Xbox 360 achievements. The game's multiplayer features include highscores, ghost challenge (where the user plays against the ghost of any other player in the high score list) and online player profiles with team, country and player statistics. The game uses 3-D graphics, but is played on a 2-D plane, so the player can only move forwards, backwards, up or down (not left or right). I can run the game perfectly at full screen resolution (1280x800) with no lagging or graphics issues. So, the game will run smoothly on a 2.4 GHz Intel Core 2 Duo processor, 4 GB of memory, NVIDIA GeForce 9400M graphics card, and 10.6.5 Snow Leopard OS. It does not work with 10.6.4. 2. Install using Wineskinsettings.app or drag and drop installation contents into the "Trials 2 Second Edition." 3. Select your screen resolution, graphics details, etc. 2. Install using Wineskinsettings.app or drag and drop installation contents into the "Trials 2 Second Edition." 3. Select your screen resolution, graphics details, etc. Menu works fine, when the game loads HUD is visable but the screen is just black. any help? How is this different from your other Trials 2 post? Doesn;t work on a GMA sadly enough i just cant pull it, will enjoy using this once i get my new macbook thou. On a side note did you try using cider, and did it error? I'm a new member to this group, found it purely by accident.. i'd never heard of 'wrappers'.. However, with all of the options turned off (graphic effects) i can only manage 18fps. Is there something i need to do to get massive improvements? I've seen this running on a lower spec Mac much better. Can you explain a little more? If you had installed it, all you should have to do is launch the app by clicking on the icon, just like any other app.